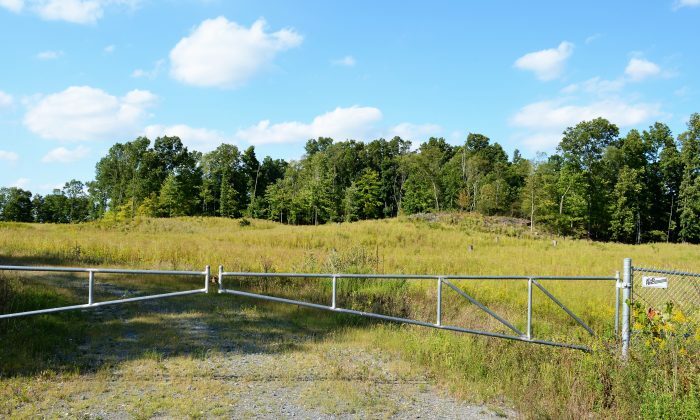 Michael Politopoulos, managing member of Kikkerfrosch LLC, informed the Orange County Industrial Development Agency (IDA) on Sept. 6 that the principals decided to terminate their brewery project in the Village of Goshen. “This decision comes as a result of the dissolution of the partnership which had been established toward this end, for personal and private reasons which I am not at liberty to discuss,” Politopoulos stated in an email to the IDA. The good news is we have an absolutely shovel-ready site back in our portfolio to market. Politopoulos said in his email that the company will offer the property up for sale. Maureen Halahan, CEO and president of the Orange County Partnership, plans to market the site to new companies. “The good news is we have an absolutely shovel-ready site back in our portfolio to market,” she said. As the marketing arm for the county, Halahan said the Partnership favors light manufacturing, food and beverage firms, and they are already lining up prospects. “One is a mid-size manufacturing company—’clean’ manufacturing,” she said. In 2014, the Village gave the project a clean bill of environmental health after the State Environmental Quality Review (SEQR) process and announced the brewery would not have an adverse impact on the 83-acre site. The Village changed the zoning from a one-family residential (R-1) district to an industrial park (IP) district to allow the brewery control of water and contaminants coming into the plant. Politopoulos said in his email the decision was difficult because the project had a sound business plan and would have greatly benefited the county. The proposed brewery had a production capacity of 300,000 barrels of beer per year. The site would have had a brew house, a grain elevator, a malt milling area, a yeast production area, a lab, a packing area, keg and bottle filling lines, a warehouse, and administrative offices. The IDA is now looking at the future of the site. “We just want to see good-paying jobs so we are open to whatever industry that falls into the purview that we can incentivize,” Villasuso said.